Since opening The Cooper 3 years ago, Chef Adam Brown has consistently served Kai-Kai veggies on the menu of his popular craft kitchen in Palm Beach Gardens. 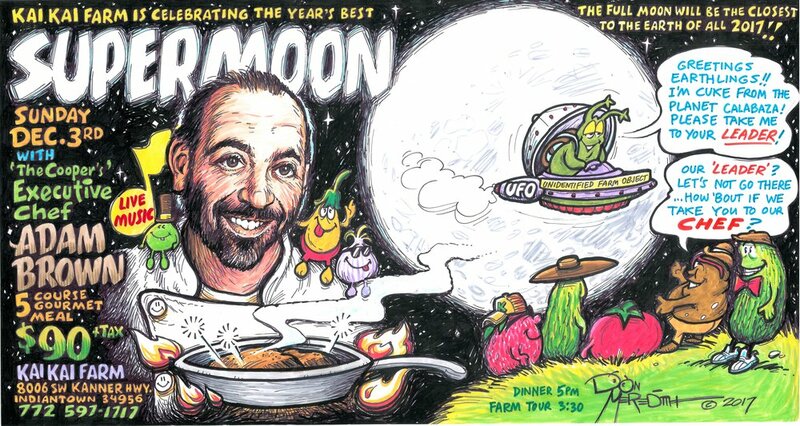 Sunday, December 3rd Chef Adam returns for another 5 course gourmet experience inspired by Diane’s bountiful produce! Wine pairing included with each course. Beer provided by Islamorada Beer Company. Guests also welcome to BYOB.